Windows did this with Windows 7 (and Vista). If you attempt to edit the hosts file you will see the following. You don’t have permission to save in this location. Contact the administrator to obtain permission. 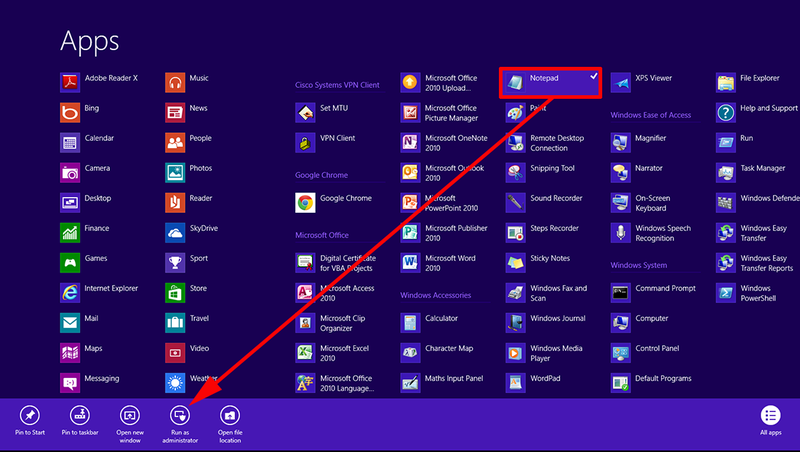 Would you like to save in the My Documents folder instead? 1. 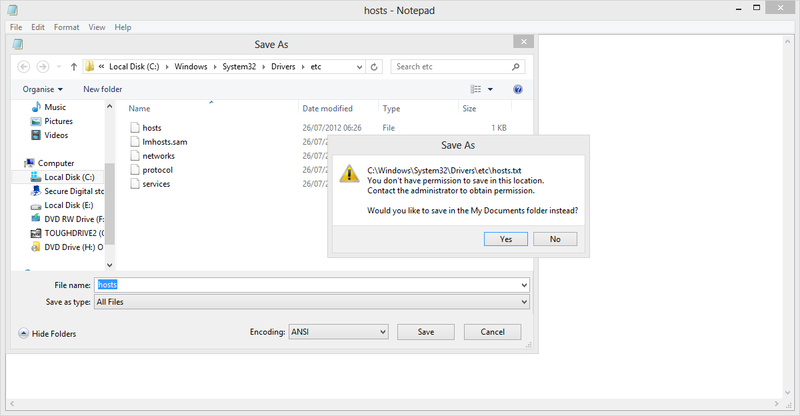 You could run an admin command window, and use the EDIT command, but Notepad is easier. 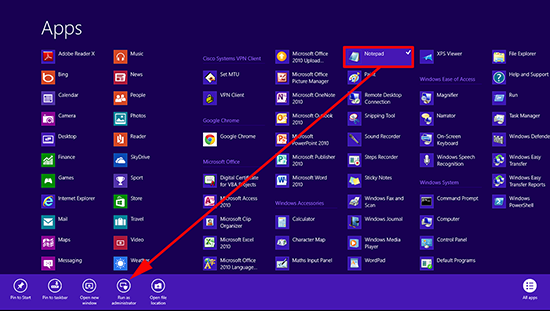 Open the Apps page (Windows Key+Q) > Locate Notepad and right click it > Run as Administrator. Note: YES Even if you are logged in as an administrator. 2. 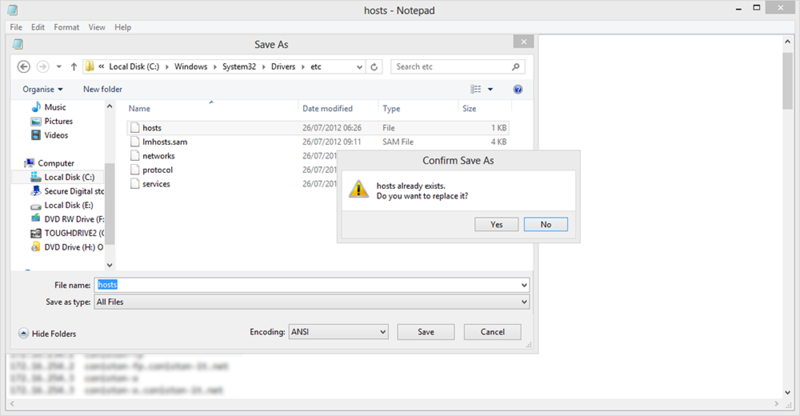 Now you can open the hosts file (make sure you change the file type to all files or notepad wont see it!). And you can then edit the file and save the changes.